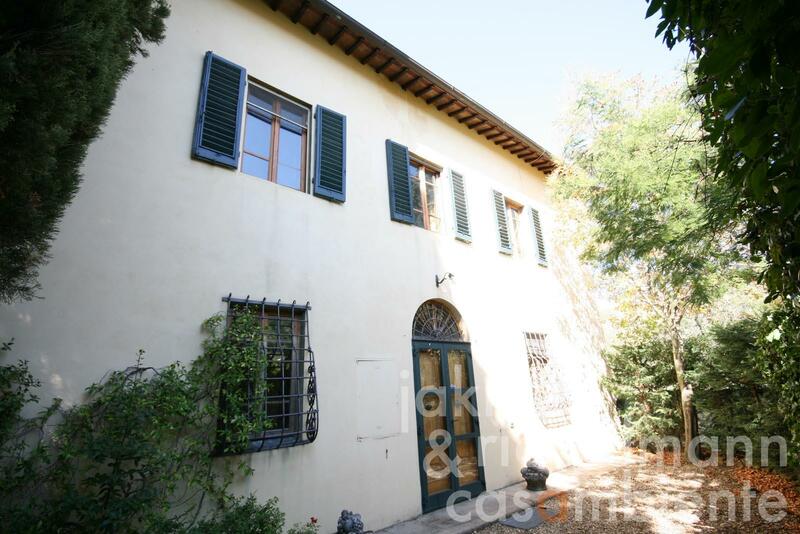 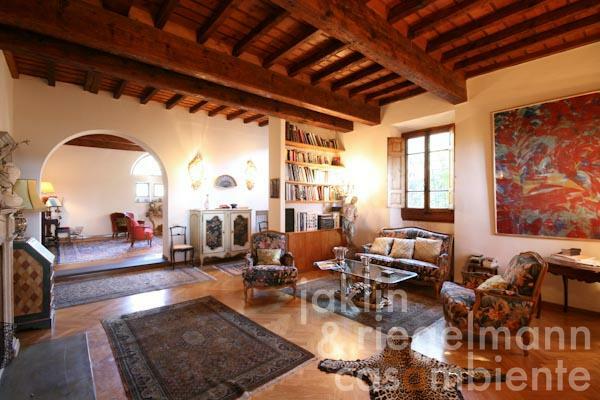 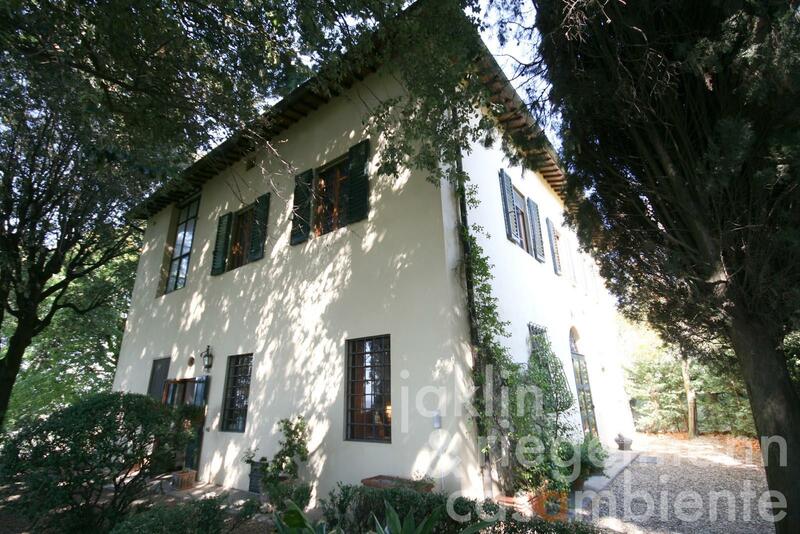 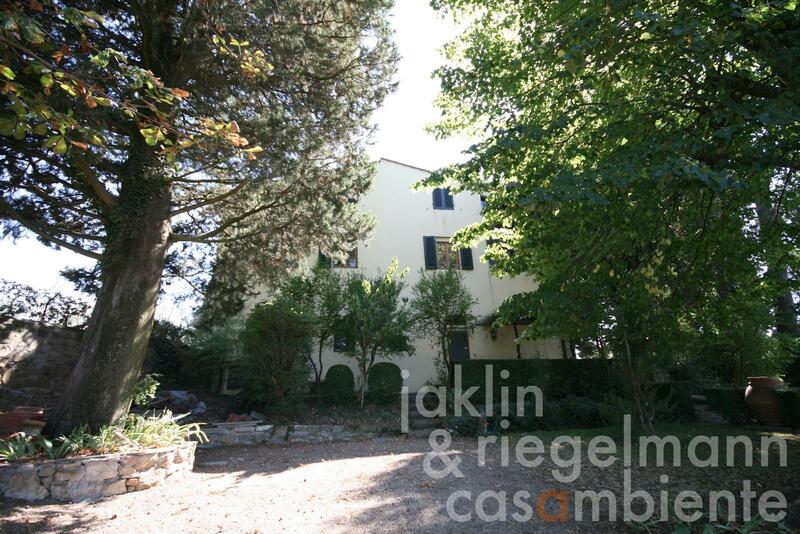 Special Tuscan villa with pool and panoramic views of the Florence Cathedral for sale. 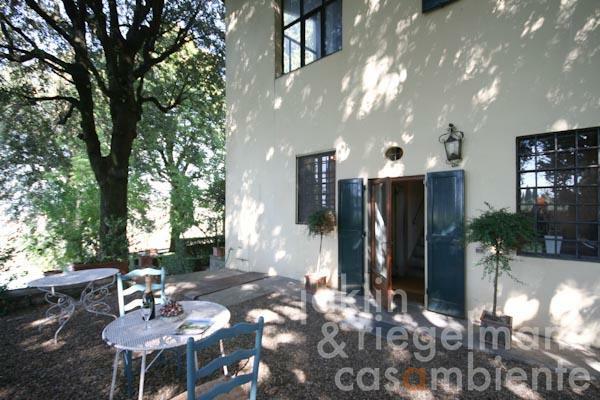 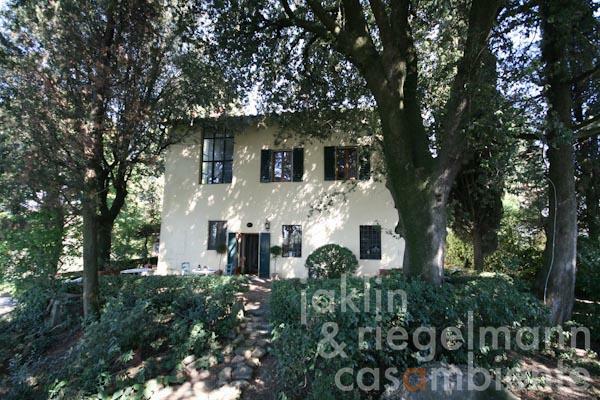 The property is situated in the hills, surrounded by olive groves and only a few minutes away from the old-town of Florence. 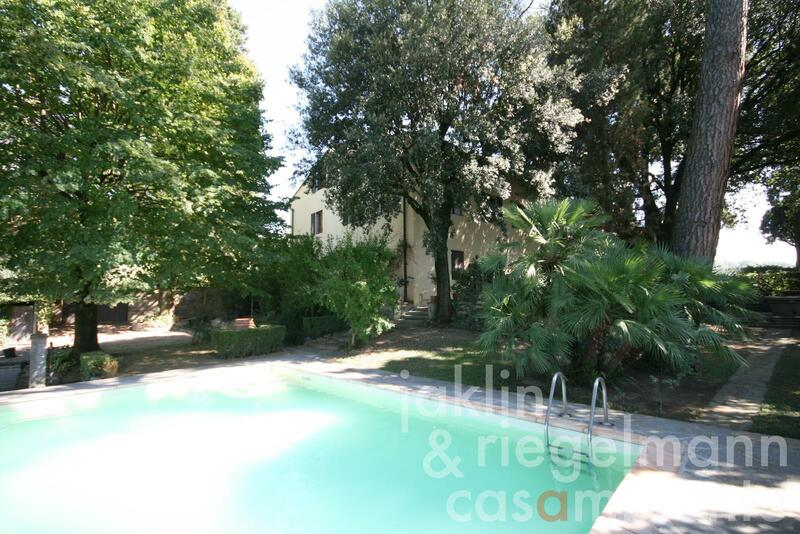 A fully fenced and well-tended garden with automatic access gate, pool (9.5 x 5.5 m) and terraces surround the villa for sale. 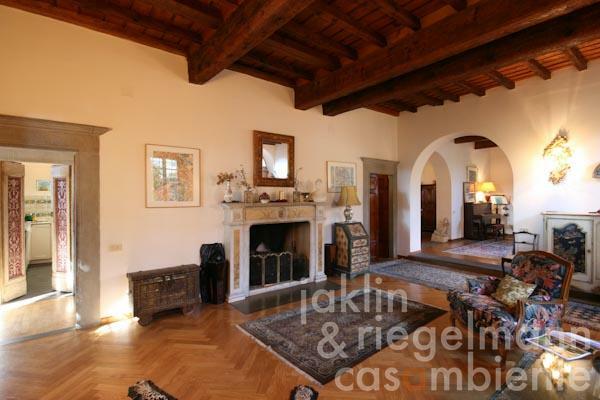 The villa's ground floor comprises a generous living area with open fireplace, reading room, dining room and a kitchen. 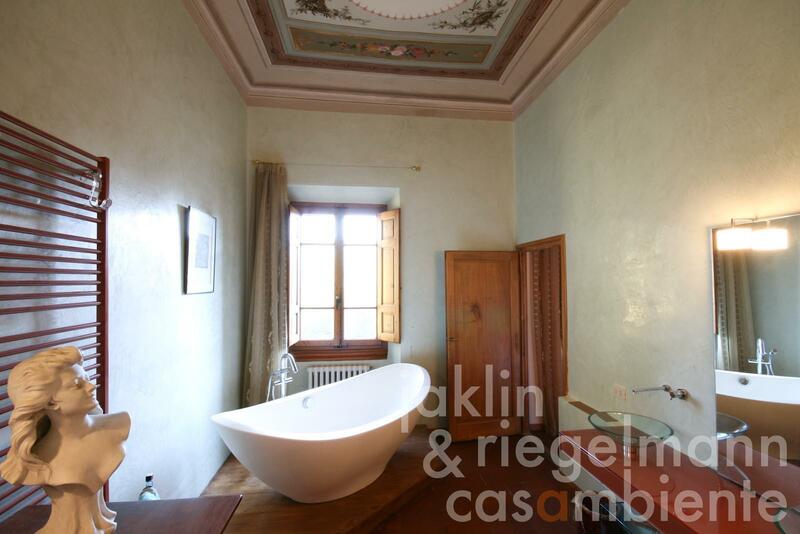 A staircase leads to the first floor with three bedrooms and three bathrooms, two of which are en-suite. 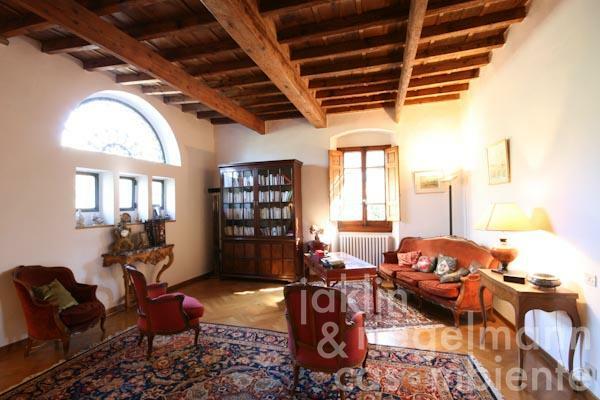 A beautiful and well-lit atelier rounds-off the first floor. 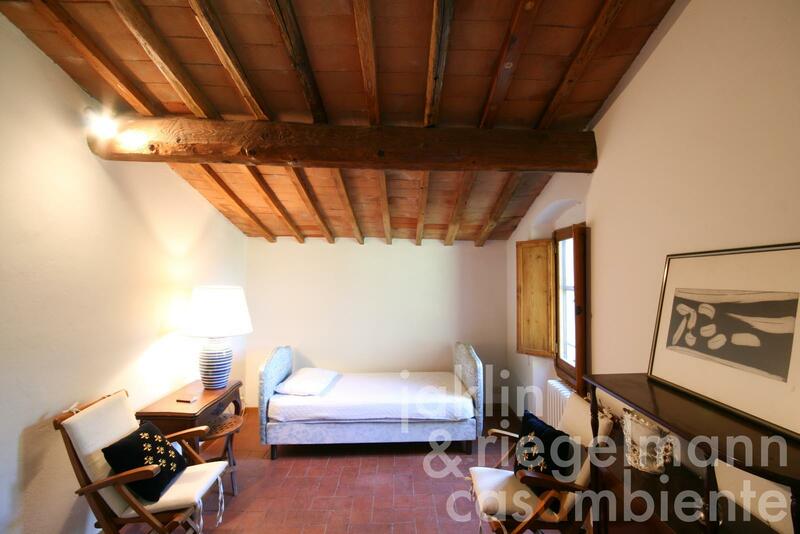 The attic on the second floor comprises an additional bedroom, bathroom and a wardrobe. 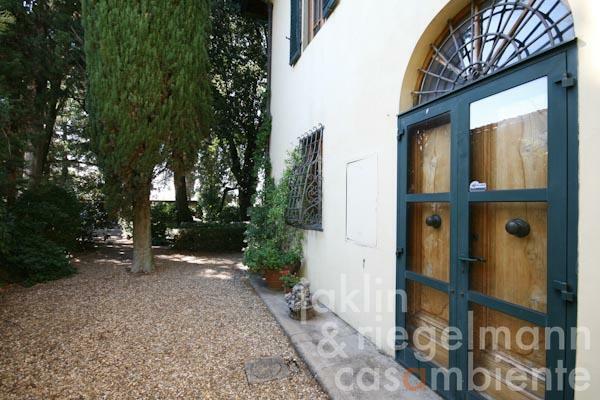 Two cellar rooms for building equipment and appliances and a wine cellar are accessible from the kitchen. 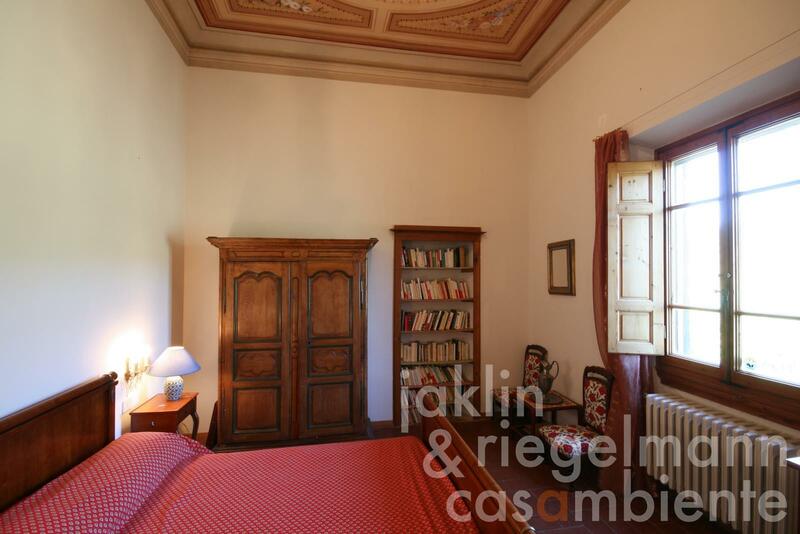 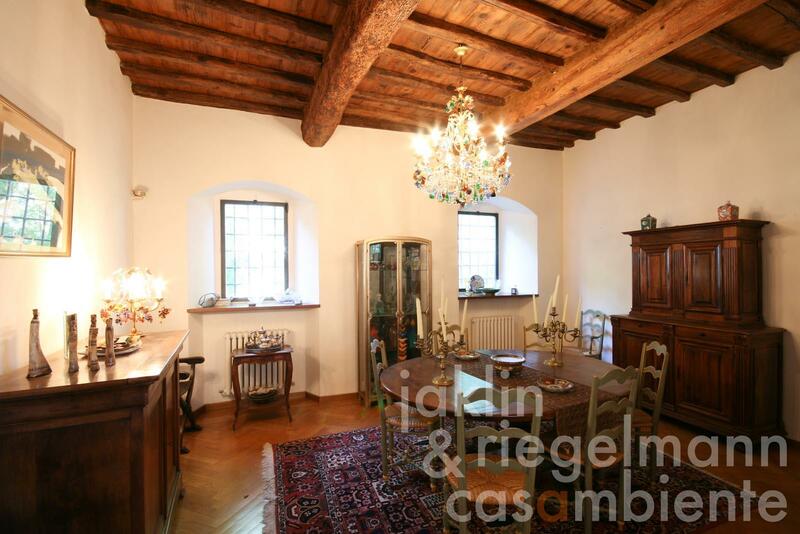 The villa features beautiful details like painted and decorated ceilings on the first floor as well as painted doors and typical Tuscan chestnut beams in the living areas on the ground floor. All shopping facilities and the old-town of Florence can be easily reached and are only a few minutes away from the property. 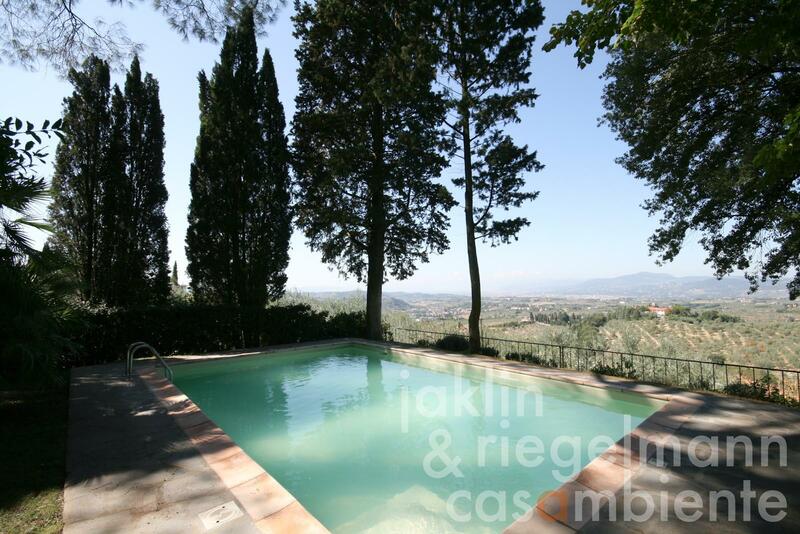 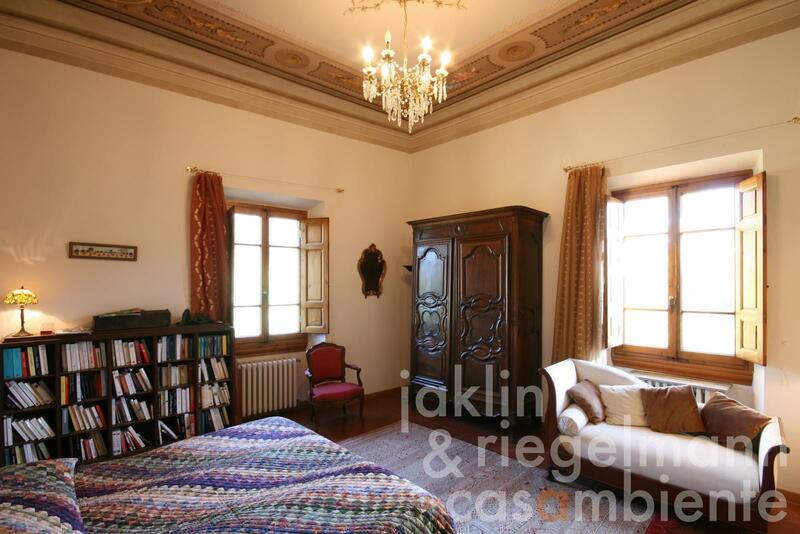 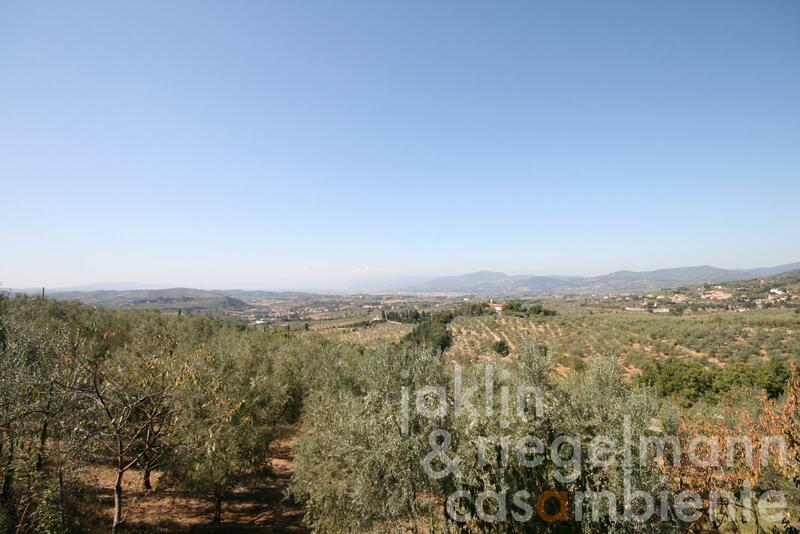 Italy, region Tuscany, province Florence, municipality Bagno a Ripoli. 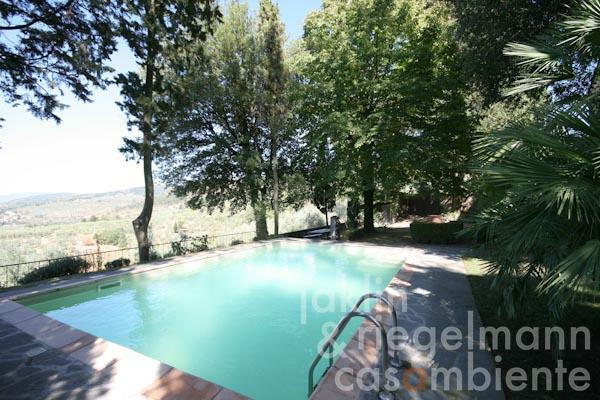 1,550 m² well-tended garden with pool and terraces. 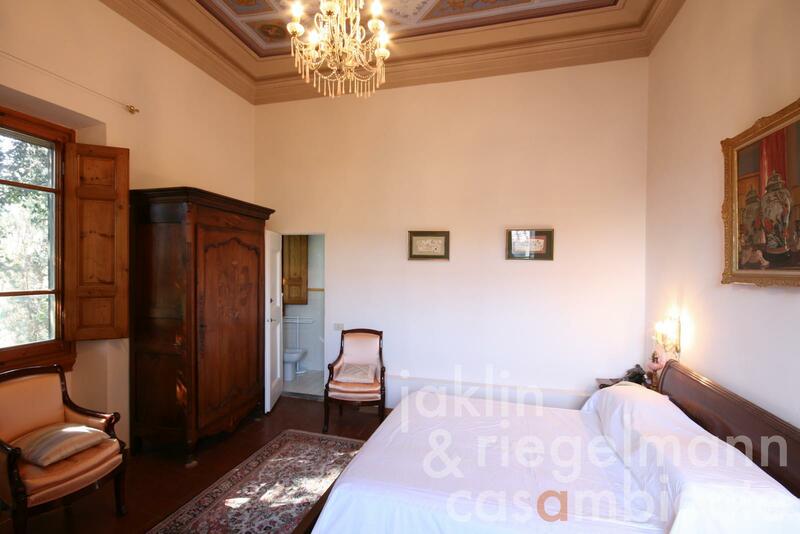 Electricity, mains water, own well water, central heating, fireplace, oil tank, telephone, broadband internet access, automatic gate, swimming pool, carport, private parking, terrace, garden.